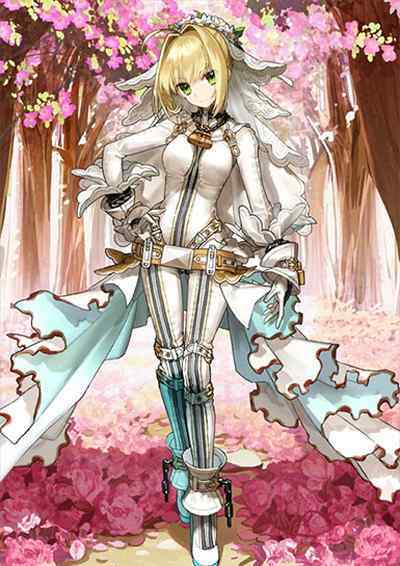 Learn all there is to know about 『Nero Claudius (Bride)』 in FGO(Fate/Grand Order)! Guide includes Ascension / Skill Items, Stats, NP, Skill & Review. ・She can use them as on herself as on allies. 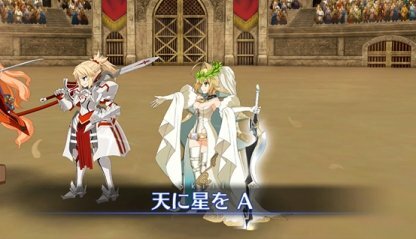 Nero Bride features 3 Skills and a powerful NP. All three Skills can provide an ally with amazing buffs, that are helpful on High Difficulty Quests and sometimes for Farming. She can also be used as an attacker due to her powerful NP. 「Stars for the Sky A」Skill increases NP Gain Rate for a single ally (3T). Besides,「Flowers for the Earth A」Skill applies a great ATK UP Buff. Moreover she is a good support for attackers who farm using their Arts or Quick NPs. 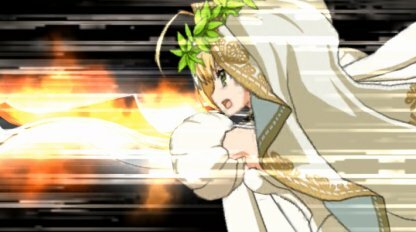 When you apply the Skills on herself she can do a huge amount of damage, just as much as a high tier Saber would. She is a great attacker who can be used on High Difficulty Quests, due to her Critical Attack Debuff, a single-target Arts NP and 2 Arts cards, a number of which not every Saber can boast. ▲Due to Critical Damage enemies do on High Difficulty Quests you have to do something to support her. Seemingly both「Stars for the Sky」and「Flowers for the Earth」have a long cool down time and when the effect is over she is not that effective anymore. We recommend to focus on making Arts Chains, because you can restore NP for yourself and allies with the help of Arts Cards. Although there are some disadvantages of playing her, those can be easily compensated. 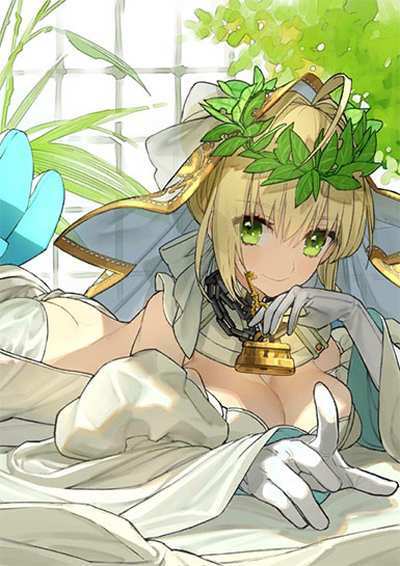 As she Nero Bride 2 Arts Cards and 1 Arts NP Card, you definitely don’t want to forget about her when forming a Party based on Arts. Her great NP Gain Rate UP Skill works well with any attacker who has a multi-target NP and can gain it fast. 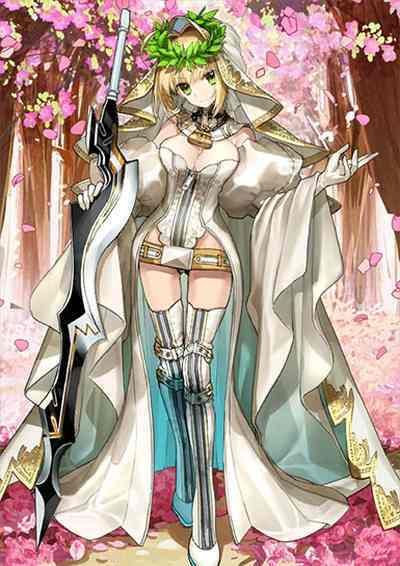 For example, you could use her in a combination with Mordred (Rider) who’s got a lot of Arts cards. 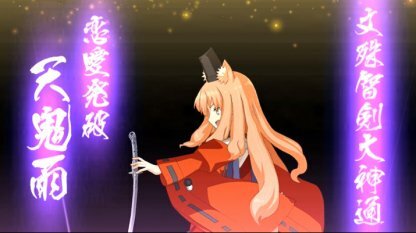 When farming apply C. Star Drop Rate UP effect to a Servant whose NP hits many times. Providing your team with C. Stars, during 1〜2 waves use the buff on your NP attacker and on the next turn . ▲Among Sabers Nero Bride works well with Suzuka Gozen. 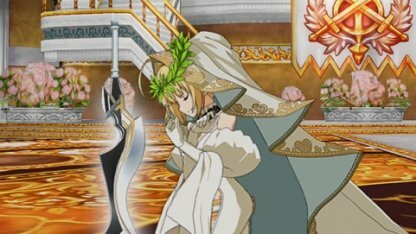 Nero Bride’s NP Effect reduces a defense by 20% for 5 turns, which makes it easier to cause more damage at some point. So, why not to use her to support your attackers? We recommend to cast her buff on herself and make use of her as an attacker. It is possible to trigger the NP 2 times in a row using NP card+A+A, NP+Q+A or NP+B+A in a combination with her Arts Buff, if you are well aware of Arts mechanics. ▲Stack several times her NP effect which lasts for 5 turns to increase damage even when her skill effects are over. 「Love for the People」Skill は Heal and increase an ally’s defense by 10～20% for 3 turns. If she plays a role of an attackerduring a High Difficulty Quest, use this skill on an ally who has just taken damage. Thus shortening CT time for 1 turn to open more opportunities to use the Skill multiple times in a battle. 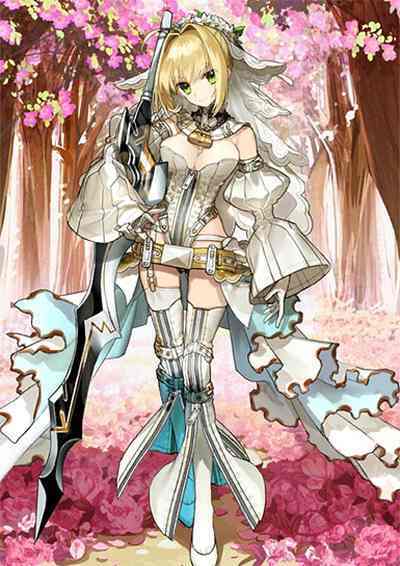 As Nero Bride has several useful buffs, make use of Chaldea Combat Uniform「Order Change 」to buff your main attacker several times. 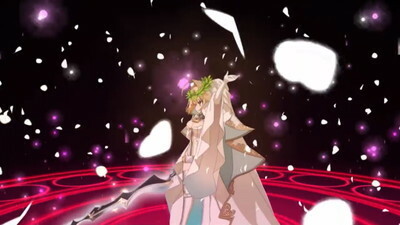 Even if all your servants are destroyed by enemies’ multi-target NP, the buffed attacker can get into a battle and aim for successive use of the NP.